One of the worst kept secrets in the “fine art world is about to be revealed at Jonathan Levine Gallery this Saturday. 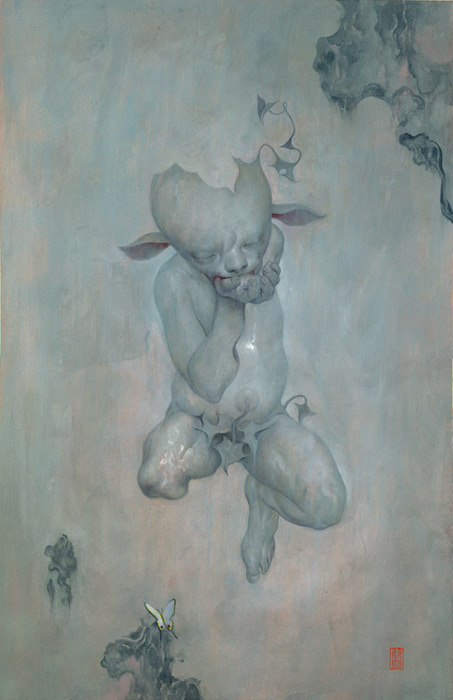 As previously teased (here), James Jean will be opening his uber anticipated show Kindling in New York City. The critically acclaimed and accomplished illustrator is finally making his “fine art” premier and we brought you a little peek of this upcoming monster. James was gracious enough to provide AM an interview for you readers. JJ spoke about the show: Kindling, his work on Prada’s spring line and even revealed some of his plans for 2009. Get the interview with JJ after the jump. Arrested Motion (AM): James, let’s start off with the most obvious topic. Being a very accomplished and decorated illustrator, you’ve worked for “the Man” ever since you got out of school. Big named clients such as Rolling Stone, Time, Target, etc. How did you like working under their deadlines and requirements? 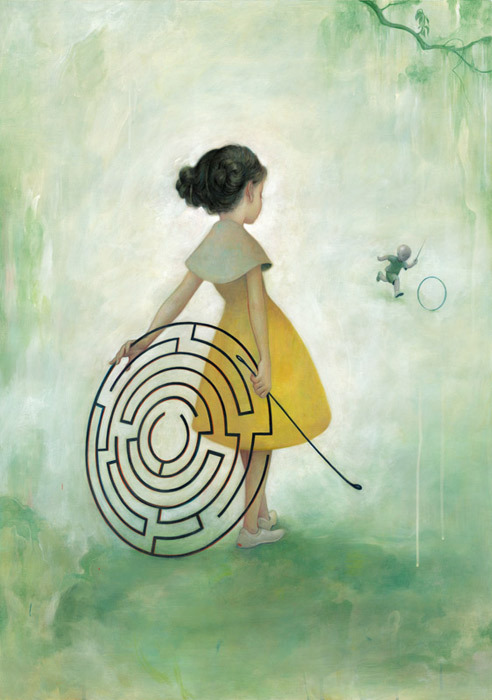 What made you want to leave the safety of the illustrative jobs and branch out to fine art? 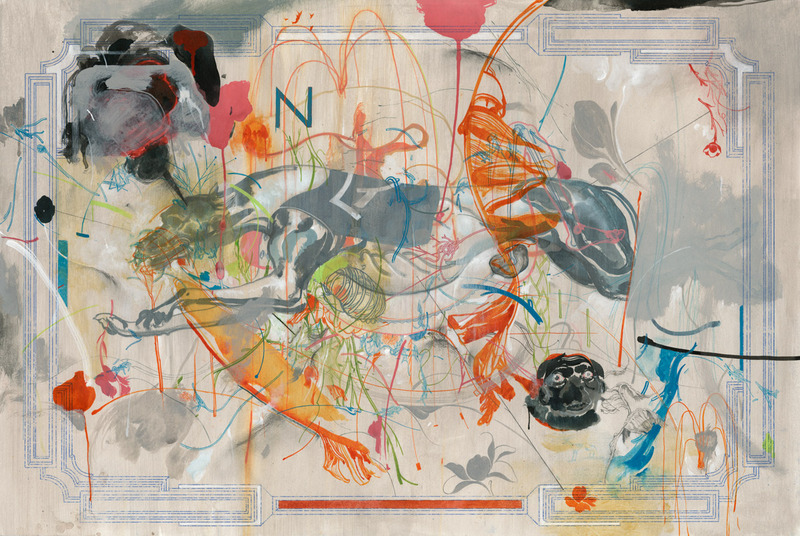 James Jean (JJ): I liked the pressure and the constraints of illustrating – the projects forced me to solve problems and polish the work until it gleamed. 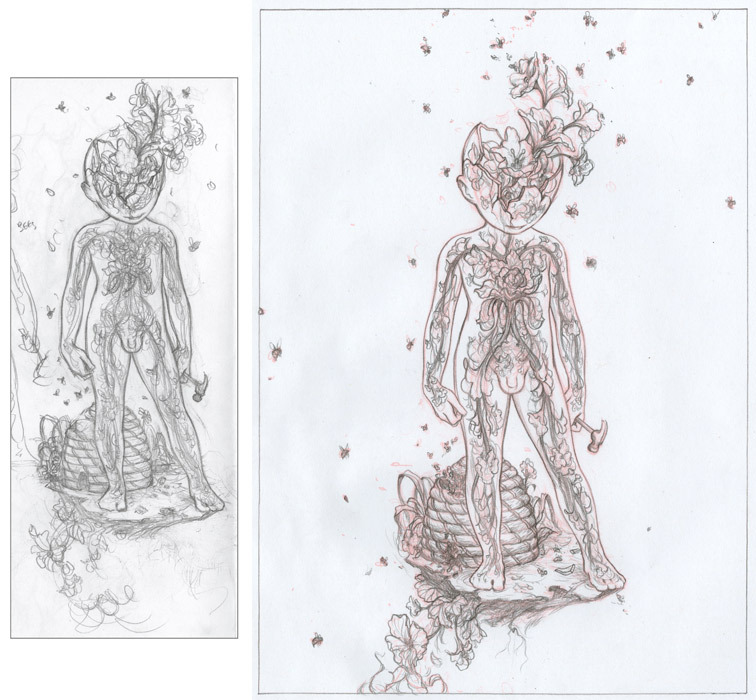 All the while, I was creating my own work, but on a much smaller scale. In a sense, I’m merely stepping from one commercial art sphere into another. The challenges and rewards from the fine art world are much greater intellectually and spiritually — in order to grow, I needed a change. AM: Now that your work for this show is complete, tell us how it felt to work on your first “fine art” solo show? Why did you pick the theme “Kindling” and tell us some of the inspiration for the paintings that we’ll see when the show premieres. JJ: Most of the work is on paper. I entitled the show “Kindling” because it connotes combustion, renewal, fuel . . .something fragile and brittle . . . a precious resource in harsh winters but ultimately collected from dirt. 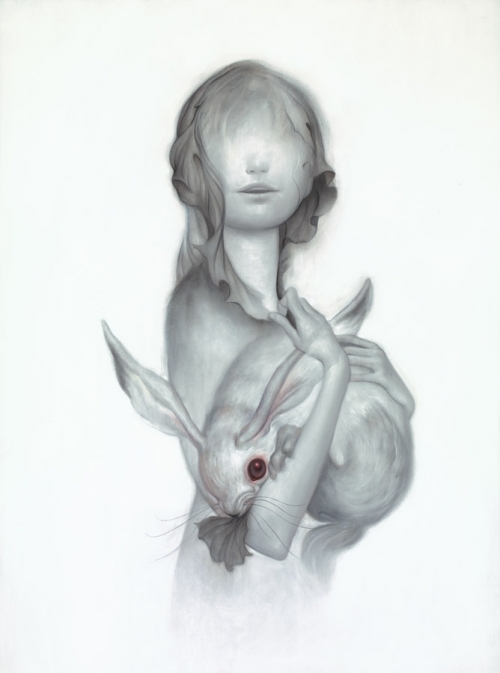 Also, it’s the word is similar to “Kinder” — many images in the show allude to childhood. AM: Growing up in Parsippany, NJ and graduating from the School of Visual Art in New York, it’s sort of a coincidence that your first fine art show will be in New York? The Prodigal son finally returns home! Does this feel like a homecoming for you? Are you nervous about your first official solo occurring in the Tri-State area? JJ: I never really thought of it that way, but I suppose I really am returning to my roots. I was just going through my old sketchbooks, updating images of them on my website, and it seemed like some my best work was done when I was living in New York. AM: Being the perfect gentleman and husband that you are, we heard that you voluntarily transplanted yourself to Los Angeles in order for your wife to finish school. After a few years in LA, what do you think of So Cal? Which place do you prefer… LA or NYC? Any plans to move in the near future? JJ: I’ve lived in LA for about 6 years now. It probably took about 5 years before I liked living here, but we have it pretty good in Santa Monica. It would be great to have another studio in NYC one day . . .NY in the Fall and Spring, and LA in Summer and Winter. AM: Your collaboration this Spring with Prada sent a buzz through the fashion and art world. 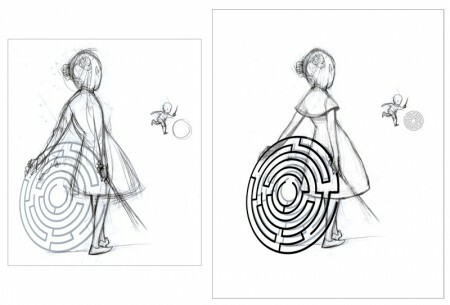 Your design inspired an entire line of clothing for one of the biggest fashion brands in the world, and you even collaborated on a stunning animation short: Trembled Blossoms. How did you get hooked up with Prada? Did you imagine that this initial collaboration would blow up to be as big as it did? Any plans to work with Prada in the future? JJ: The painter, Eric White, recommended me to the design company, 2×4, to create a wallpaper graphic for the epicenter stores in NY and LA. Initially, 2×4 created a noir graphic novel concept, but it was abandoned in favor of something less linear and more surreal. Basically, I sent in my own concepts inspired by some key words provided by Prada. Once the final drawing was done, I was asked to create a second wallpaper image for the Milan Fashion show, and Prada liked the work enough to incorporate it in the fabric prints. It was a big bang of sorts — 2×4 and Prada ‘remixed’ the original drawing for installation in the stores and on more clothing, and then they wanted to expand upon this world with an animated film, which I wrote and designed. If Prada wanted to work with me again in the future, I’d certainly be interested. AM: You’ve been focusing on working on “Kindling” for the past year, what else is in store for you in 2009? Any future fine art shows or projects you care to share? JJ: I have 3 more art books in the works right now. Chronicle will publish a large format poster book collecting images from “Kindling”, and I will be putting together another monograph for them as well. With Adhouse books, I’ll be putting together a new collection of work from my sketchbooks. I also worked on some neat items that will make their debut next year . . .
AM: Thanks James for taking the time to interview. We’ll see you at the opening! 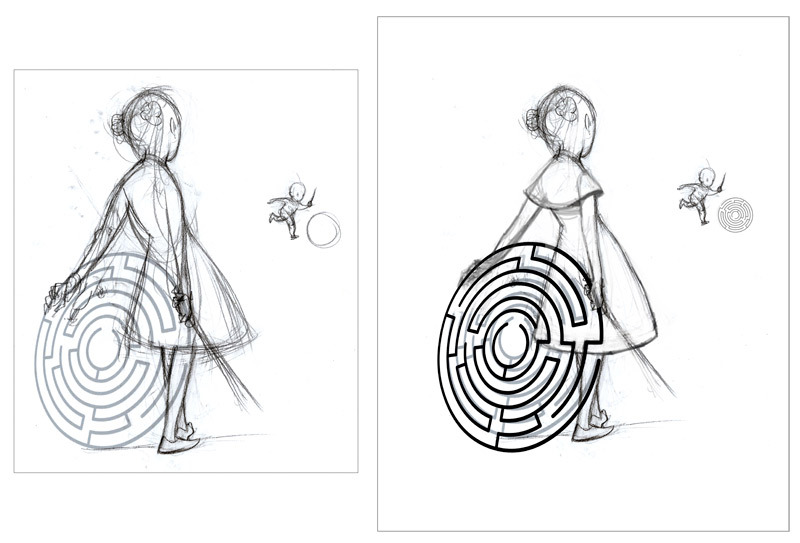 Process sketches for Maze, Hive and Toymaker. Check out our James Jean sketch book article here. Categories: Art, Contemporary Art, Features, Interviews, Low Brow & Pop Surrealism, Previews, Shows & Events. 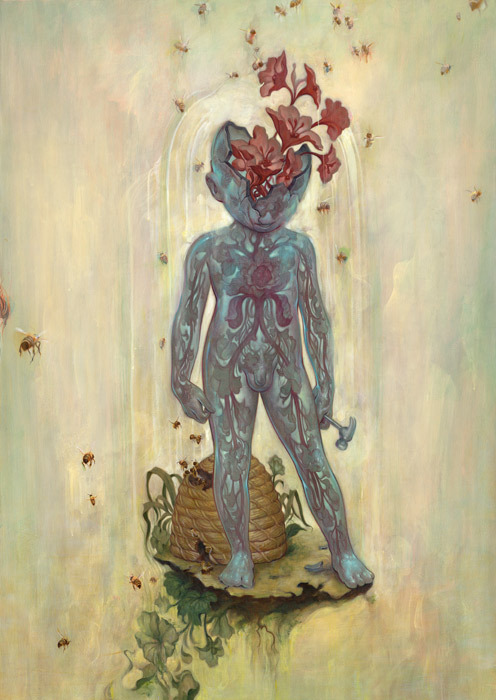 Tags: Contemporary Art, James Jean, Jonathan Levine, Low Brow & Pop Surrealism.